New Delhi: Australia put on an inspired show as they beat Virat Kohli and his boys by 333 runs in the first Test of the four-match series at the Maharashtra Cricket Association Stadium in Pune. If the batsmen — led by Kohli — failed to apply themselves against Steve O’ Keefe and Nathan Lyon on the dry Pune track, the likes of R Ashwin, Ravindra Jadeja and Jayant Yadav were out-strategised as the Australian batsmen managed to put up a brave display on a track that took turn from the word go. Umesh Yadav’s bowling was the only silver lining in a match where the Indians looked all at sea and short of ideas against the resolute Aussies. A rare poor outing for skipper Virat Kohli also ended India’s 19 Test undefeated run. From losing the toss to Steve Smith on the first morning to failing to score runs, nothing went right for Kohli in this Test. Failing to score runs after an extended purple patch is no sin, but to shoulder arms and get bowled to Steve O’Keefe in the second innings on a rank turner clearly showed the talisman’s inability to read the pitch right. His decision to use the DRS while fielding also raised quite a few eyebrows as they were clearly unnecessary use of the review system. Kohli the skipper clearly looked fidgety and overtly keen to see the back of the Aussie batsmen. His captaincy too lacked insight as the bowlers seemed to be running in and bowling without much clarity of thought from the captain. For someone who has been the pillar of India’s batting in this home season, Vijay managed just 12 runs in two innings. More than the runs, it was the lack of application that showed the opener in poor light. While he failed to show the usual calm approach at the crease and poked at one just outside off from Hazlewood in the first innings, Vijay — one of the better players of spinners in this Indian team — completely misread the line and was caught plumb in front of a Steve O’Keefe delivery that skid on with the arm in the second innings. It was again a rare poor outing for Vijay as he has had a good time against the Aussies in the past. With his Test spot under the scanner, Rahul started beautifully in the first innings till a sudden rush of blood saw the batsmen jump down the track and mishit Steve O’Keefe straight to David Warner at long-off. He was batting on 64 and his wicket started the collapse in India’s first innings. From 94/4, the hosts lose their last six wickets for just 11 runs to fold out for 105. In the second innings though, he was done in by one from Nathan Lyon that kept low and hit him on the pad. But again, it was an unnecessary use of the DRS as he looked plumb in front. Not only did the on-field umpire’s decision stand, but also India lost both the reviews with Vijay wasting the first one. With scores of 6 and 31, it was again a case of an Indian batsman failing for the first time in a long home season. Pujara has been India’s go-to-man against New Zealand and England, but this time round he too failed to rise to the occasion. While he couldn’t do much in the first innings as Mitchell Starc bowled an absolute ripper, Pujara failed to read the straighter one from O’Keefe in the second innings as the India No. 3 played for the turn and missed the line completely. With the bat hitting the pad and the ball thudding into the pads, the umpire had no hesitation in raising the finger. Rahane’s extended poor run continued in this match as he failed to show the application that has over the years made him Indian batting’s mainstay in the middle-order. With his place under the scanner, Rahane did hit an impressive 82 against Bangladesh in the one-off Test. But he failed to carry the momentum in this game as he managed scores of 13 and 18. More importantly, the on-the-rise drive he played off O’Keefe in the second innings was completely uncalled for. With the ball clearly stopping on the batsmen, it was a strict no-no. But then, Rahane looked intent on hitting himself into form. Time for him to buck up with Karun Nair waiting in the wings. On a wicket that assisted spinners from the first morning itself, Ashwin’s match-haul of just 7 wickets clearly shows that he could have done better. The spin spearhead did start well in Australia’s second innings, picking the first two wickets, but then he seemed in too much of a hurry as he kept running in without biding time between deliveries. Also, Ashwin seemed to be using too many varieties on a wicket where pitching the ball in the right areas was the only prerequisite. Luck deserted him with the bat in hand. If he was unlucky to see the ball balloon into Peter Handscomb’s hand at forward short-leg after bouncing on his left boot in the first innings, a review saw Ashwin being given out leg-before after the one-field umpire gave him not out with O’Keefe’s ball hitting him on the pad. Saha was spotless behind the stumps. As always, he was at the top of his game with gloves in hand, even picking a blinder off O’Keefe’s bat as the batsman flashed hard at a Umesh Yadav delivery. With Kohli standing slightly wide, there was a gap between the wicket-keeper and the skipper. And Saha leaped full length to pluck the ball out of thin air. But his batting and his inability to convince skipper Kohli when it came to reviewing decisions definitely has him losing points. Being the wicket-keeper, he is in the best position to adjudicate whether a decision should be reviewed. But Saha took a backseat every time the ball hit the pads and Kohli jumped with exuberance. His efforts with the bat also cut a sorry figure as he managed scores of 0 and 5 with O’Keefe having his number in both the innings. Even though Ashwin picked seven wickets, it was Jadeja who looked more threatening and kept pecking at the Australian batsmen. With the wicket assisting spinners, Jadeja looked to pitch the ball in the right areas and finished with 5 wickets in the game. Had the Indian fielders helped his cause, Jadeja could well have finished with a couple more. His tireless spells were another impressive factor as he kept piling the pressure from one end with his disciplined bowling. With the top-order failing to apply themselves in the middle, not much was expected from Jadeja and he was out trying to hit himself out of trouble. While he scored 2 in the first innings, he managed 3 in the second essay. Back into the team in Bhuvneshwar Kumar’s place, Jayant cut a sorry figure as he failed to impress with both bat and ball. While he released the pressure created by Ashwin and Jadeja while bowling — pitching it short and wide time and again — his batting too lacked the application that saw him shine against the Englishmen in the previous series. His dismissal in the first innings as Wade stumped him after Jayant's failure to drag his feet back inside the crease is elementary stuff taught by coaches at the nascent stage. Clearly the Aussies had his number from the word go. Jayant’s display showed that he still needs to work on his game if he wants to succeed against the better teams on the international stage. Umesh was by far the best player on display from the Indian team in the first Test. Be it with the new ball or the old, Umesh was spotless. 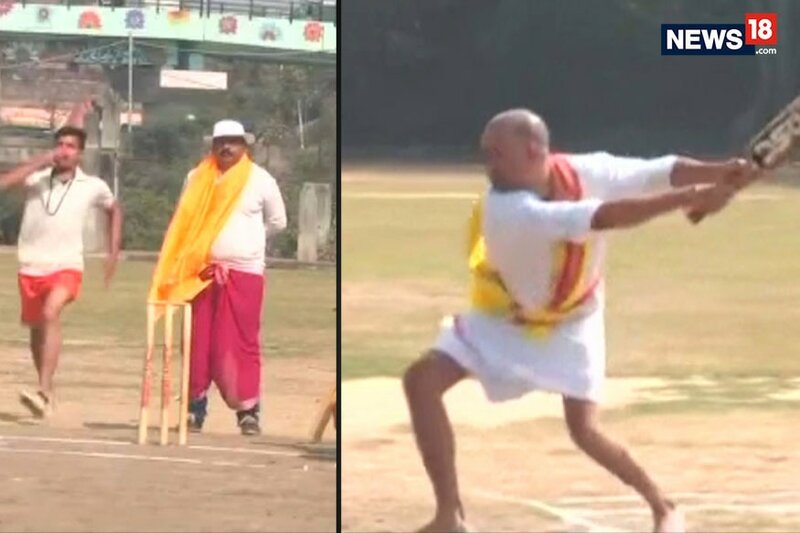 If he managed to reverse the old one with elan, he was equally comfortable with extracting conventional swing on a wicket that was clearly cut out for spinners. More importantly, his line and length was immaculate and he kept testing the Australian batsmen. It was unfortunate that Umesh finished with four wickets in the first innings as he truly deserved a five-for. In the second innings again, he was in great rhythm as he picked two wickets. With Shami still out injured, Umesh had clearly raised his game and is Kohli’s new go-to-man as far as pace bowling is concerned. The only Indian bowler to not pick a wicket in the Test, Ishant has failed to wear the pace spearhead’s hat in Shami’s absence. Even though he bowled a testing line on the opening day of the Test without much luck, he clearly lacked the penetration needed to make inroads. He bowled just 3 off the 87 overs that Australia batted in the second innings, clearly showing that skipper Kohli didn’t have too much faith in his ability. One of the most experienced players in the ranks, having played 75 Test matches, Ishant needs to lead by example if he wants to retain his place in the team.